Free of fat and cholesterol and packed with vital minerals, vitamins, and anti-oxidants, leafy greens are a powerhouse of nutrition. But fans find that their bitter taste and tough texture make them difficult to prepare. This book solves the problem by using innovative, easy-to-make recipes to unlock the amazingly delicious flavors of leafy greens. From green smoothies and kale avocado salad to quinoa collard sautes and spinach-stuffed chicken, this book's comprehensive collection of scrumptious recipes transforms greens into meals of their own. Instead of typical butter and garlic, these dishes give greens exotic flavors like spicy Mexican, zesty Greek, and creamy Italian. With detailed step-by-step instructions, these hassle-free recipes teach even iceberg lettuce junkies to grill kale, stir-fry bok choy, and cook chard. 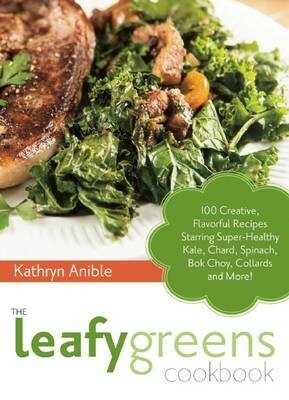 The Leafy Greens Cookbook: 100 Creative, Flavorful Recipes Starring Super-Healthy Kale, Chard, Spinach, Bok Choy, Collards and More!